Quality Greenhouse is known for a commitment to strength and structure. 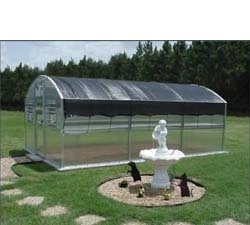 8 mm polycarbonate covering and extruded aluminum framing come standard with all Quality greenhouses. The Quality brand offers two widths of 12' and 16'. There are multiple length options offered in 6' increments to meet your specific needs. For those with limited room, Quality offers a comparable Lean-to version. For growers with large spaces, and an even larger passion for greenhouse gardening; who expect durability for their life-long investment, a Quality greenhouse can't be beat.